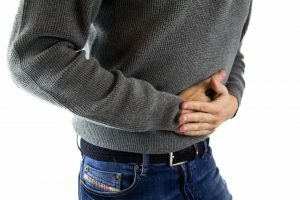 Irritable bowel syndrome (IBS) is a common gastrointestinal condition, affecting between 25 and 45 million people in the U.S. IBS can cause a range of symptoms including abdominal pain, cramping, gas, bloating, diarrhea and/or constipation. It’s a chronic condition, which means you’ll need to find treatments to help manage your symptoms long-term. Doctors don’t know the exact cause of this disorder and, unfortunately there’s no test that can provide a definitive diagnosis of IBS. The good news, however, is that IBS does not cause changes in your bowel tissue or increase your risk of colorectal cancer. The goal of IBS treatment is to lessen the severity and frequency of your symptoms. The first treatment your doctor will recommend will most likely be changes to your diet and stress management, since symptoms can be triggered or made worse by these factors. Your doctor may also recommend following a diet that’s low in a category of foods called FODMAPs (fermentable oligo-, di-, and monosaccharides and polyols). Some research suggests that the type of carbohydrates in these foods can increase the frequency and severity of IBS symptoms. A dietitian can help you put together a diet that’s tailored to ensure you’re getting appropriate nutrition, but that eliminates the foods that are related to your IBS symptoms. Exercise, cognitive behavioral therapy, biofeedback, relaxation practices such as meditation and guided imagery, and talk therapy may help decrease stress and manage the anxiety that many people feel when their symptoms flare up. Alosetron (Lotronex): This medication blocks serotonin signals that send sensory information to the intestines. It can reduce both diarrhea and abdominal pain. Rifaximin (Xifaxan): An antibiotic, this medication reduces or alters the bacteria in your intestinal tract and has been shown to decrease diarrhea and bloating. Eluxadoline (Viberzi): This drug activates nervous system receptors and lessens contractions in the bowel to reduce abdominal pain and diarrhea. Lubiprostone (Amitiza): This medication promotes muscle contractions in the gastrointestinal tract to decrease constipation and abdominal pain. Linaclotide (Linzess): Linaclotide increases the movement of food through the digestive tract and also dampens pain signals in the intestines. Since not all treatments for IBS work for all patients, your doctor will work with you to develop a treatment plan that addresses the specific symptoms and level of severity of your condition. You may need to try several different treatment approaches and adjust your treatment over time if your symptoms change.